Perfect for an autumn celebration! 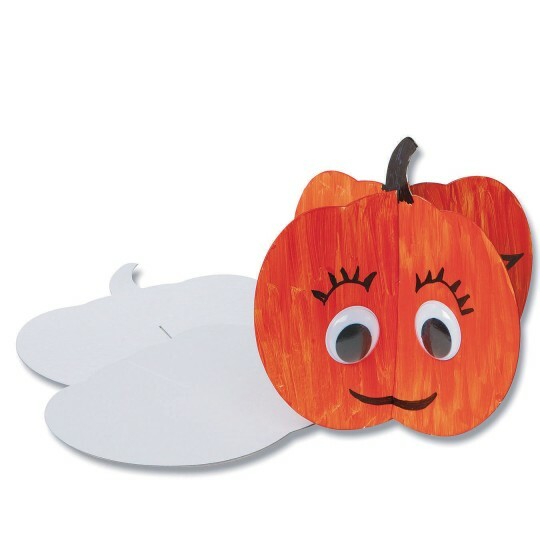 Decorate this white chipboard slot fit pumpkin for Halloween, Thanksgiving, or anytime! Perfect for use with crayons, permanent markers, stickers, paint, and more. Basic assembly required. Decorating supplies not included. Assembled pumpkin measures 6-1/4” x 6-1/4” and sits easily on a flat surface. Pack of 24.